Like most cryptocurrencies, Zcash relies on miners to add transactions to the blockchain. While all nodes in the Zcash network contribute to confirming the validity of transactions, it is the miners which take on the heavy lifting to secure the network. To secure the network, Zcash uses a proof-of-work mining algorithm. Proof-of-work means that miners compete against each other using processing power to produce a new block on the chain. The first miner that succeeds completing the proper computation for each block is awarded with a network standard block reward and any fees for transactions they add to that block. 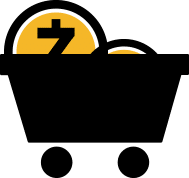 Visit zcashcommunity.com/mining to learn more about mining, miners' rewards and what you need to get started.